I am not usually a braggart, except when it comes to my garden. Monday afternoon, our long overdue spring was finally in full attendance and I went crazy in my herb garden, replenishing the empty spots with natural healing remedies galore. The reason I was so enthralled to plant my herbs is that I am a regular juicer and healthy eater. 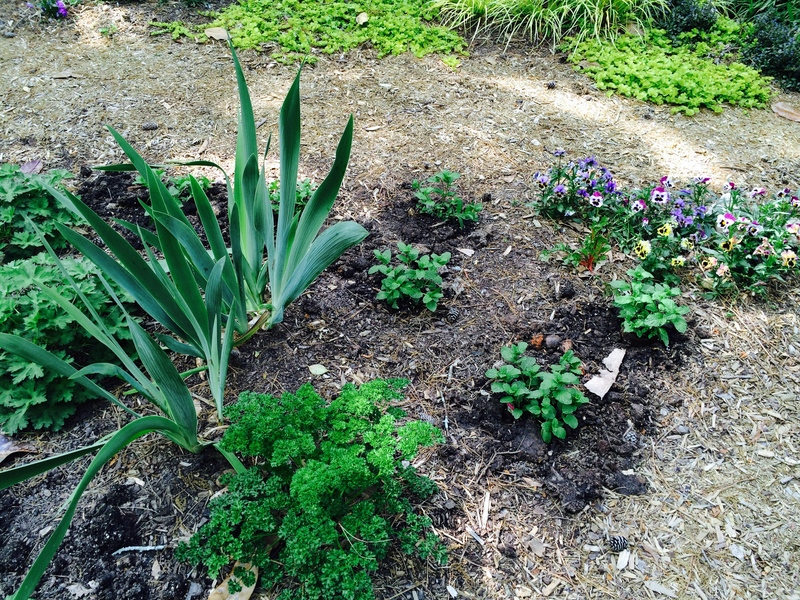 You can plant your own natural healing remedies if you just get on your hands and knees and play around in the dirt. Stevia. A natural sweetener without the side effects of aspartame, Splenda or Sweet n Low, all of which ought to be banned in my opinion as they are neurotoxins, depleting your brain chemistry, interfering with your insulin handling and setting you up for nasty illnesses like cancer and multiple sclerosis. Mint. A natural healing remedy for your digestive system proven to fight off the nastiest bugs, including MRSA, h. pylori, salmonella and E. coli. Cilantro helps remove heavy metals out of your body. It also helps regulate your blood sugar, cholesterol and free radical production. Rosemary. A natural antidepressant and tonic for the brain. Reduces acrylamides, cancer-promoting substances produced in many methods of food preparation, such as grilling or frying or baking. Basil contains volatile oils that are anti-bacterial. It is high in antioxidants and anti-inflammatory. A good source of magnesium, basil is fabulous for your heart. Lettuce. Home-grown lettuce is free of chemicals. At my house, it’s fast food because I can run out, cut my lettuce and be eating lunch or dinner in five minutes. Spinach. The world’s absolute most healthy food. Now that I am no longer five years old, I have come to appreciate spinach for its anti-inflammatory and anti-cancer benefits. My gardener, Gabe Horrisberger, says that it’s apparently hard to grow spinach. If you came to my garden I would show off the biggest, healthiest spinach you have ever seen! Kale. Like spinach, it’s anti-inflammatory, anti-cancer and promotes your body’s own detoxification system. At the moment, my kale is tall and topped with delicate yellow flowers. Strawberries. Now admittedly last year it was chipmunks 100, Catherine 2 or 3. But still! Strawberries are very porous so if you can grow your own organic varieties, you can take advantage of the fact that strawberries are the healthiest fruit on the planet, low glycemic, loaded with antioxidants and avoid the chemicals. Parsley. High in vitamin A, great for your eyesight, great for detoxification, great for curing arthritis and great for your heart. I have been known to send clients home with huge bunches of parsley when they are doing a detox. Swiss chard. One of the best vegetables for regulating your blood sugar. Great for building your bones. Garlic. Antibiotic and antibacterial. Garlic is not only good for you it’s also good for your soil and is a great companion plant for rosebushes, helping keep the bugs off your roses. What is healing? Healing happens when you turn your garden into your own personal natural pharmacy, growing your own natural healing remedies.